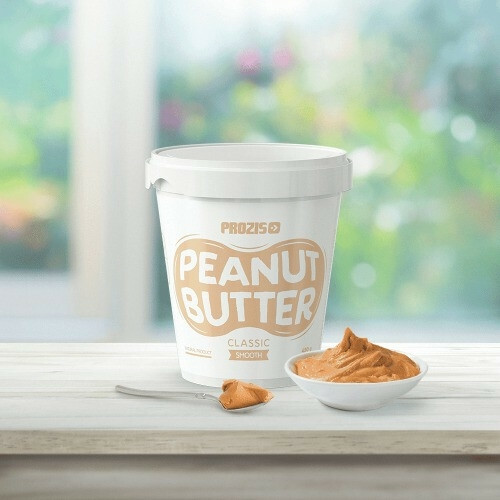 Prozis Peanut Butter is the most naturally delicious spread, rich in protein and fibre, free of added salt, hydrogenated oils, sweeteners or artificial flavourings. 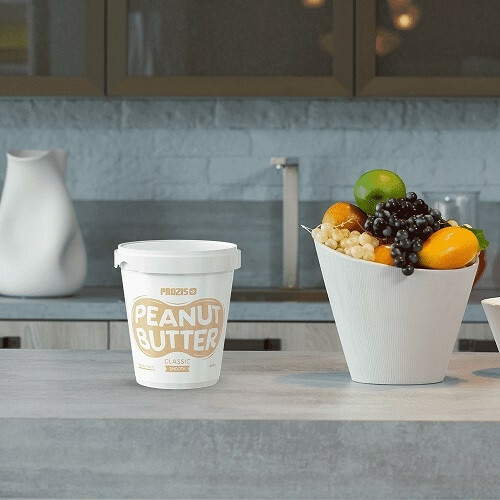 Check out the convenient way to fit more protein into your day! 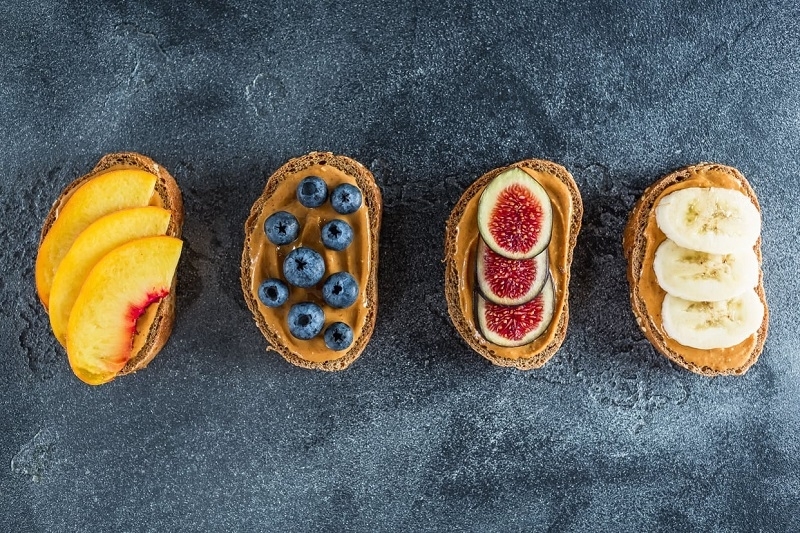 Your peanut butter spread for a great snack! 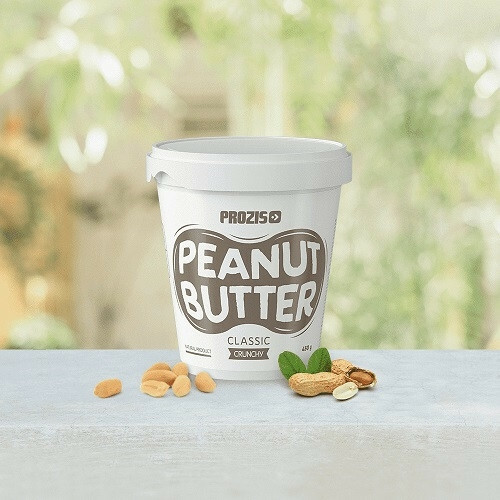 Prozis Peanut Butter is made from nothing but one ingredient, peanuts, for the most naturally delicious spread or as a nutty addition to your shakes. Besides being a healthy source of muscle-building protein, peanuts also provide a wholesome amount of fibre, vitamin E and magnesium. Magnesium is especially important for active, exercising individuals, as it contributes to normal muscle function and proteinsynthesis, and to reducing tiredness and fatigue. Just do the math: in 100 grams of peanut butter, 30 grams are protein and merely 7 grams are carbohydrates. 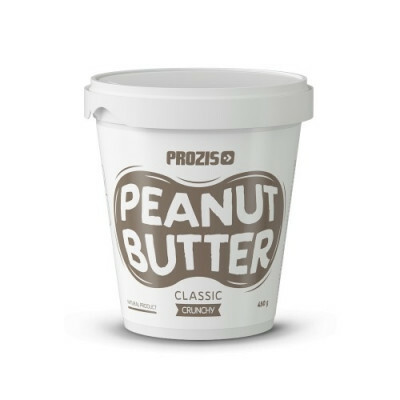 This nutrient ratio, combined with the overall nutrient composition and a formula without added salt, hydrogenated oils, sweeteners or artificial flavourings, renders Prozis Peanut Butter an excellent choice for those who demand only the best nutrition. In 100 grams of peanut butter, 30 grams are protein and merely 7 grams are carbs. And besides being a natural source of muscle-building protein, Prozis Peanut Butter also provides you with wholesome amounts of fibre, vitamin E, and magnesium. After all, it's no coincidence that it's such a popular snack among athletes and other physically active people.